A lonely boy makes a friend in 'Boy Number 21', but years later is forced to question the very nature of that friendship. 'Alice Baker' tells the story of a mysterious new office worker who is accompanied by a lingering smell of decay. And in 'The Front Room', a devoutly Christian mother tries to protect her children from the evil influence of their grandmother, both when she is alive and afterwards. This paperback edition includes the chilling 'Printer's Devil Court' in which three medical students make an unholy pact whose consequences will pursue one of them to the grave - and perhaps beyond. This is Susan Hill at her best, telling characteristically creepy and surprising tales of thwarted ambition, terrifying revenge and supernatural stirrings that will leave you wide-awake long into the night. 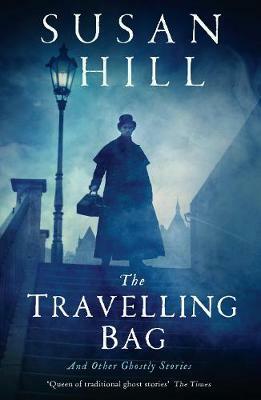 Yorkshire-born writer Susan Hill’s writing career has been as wide-ranging as it has been phenomenally successful, encompassing literary fiction, crime novels, plays, ghost stories, children’s books and memoirs. As well as being one of the world’s bestselling novelists, her work has attracted extensive critical acclaim having won the Whitbread, Somerset Maugham and John Llewelyn Rhys awards, as well as having been shortlisted for the Booker Prize. Her best-known works include: The Woman in Black, The Mist in the Mirror, The Travelling Bag, The Small Hand, I’m the King of the Castle, Strange Meeting, Mrs De Winter, In the Springtime of the Year, Howards End is on the Landing and the Simon Serrailler crime series. The perfect book to accompany cosy nights by the fire, candles and hot chocolate. Very Hygge in fact!